Our bartenders work exclusively with fresh, seasonal ingredients and high quality artisan products. This includes small batch spirits, craft beers and natural wines. When it comes to purées, cordials and infusions, we make them all. We also have a wonderful wine list featuring a range a of European wines, where the passion of the producer is at the same level as ours. We were delighted to have been nominated for the Imbibe Gin List of the Year 2017, where we featured in the top 6 of the UK. The bar is open throughout the day from 12pm to midnight Monday- Saturday, and 12pm-11pm on Sundays. Our bartenders have put together a delicious list of Veuve Clicquot winter cocktails - each one more seasonal and festive than the next. Pop in and sample the goodies, a perfect antitode to the chilly winter nights! Avaliable until February 2019. 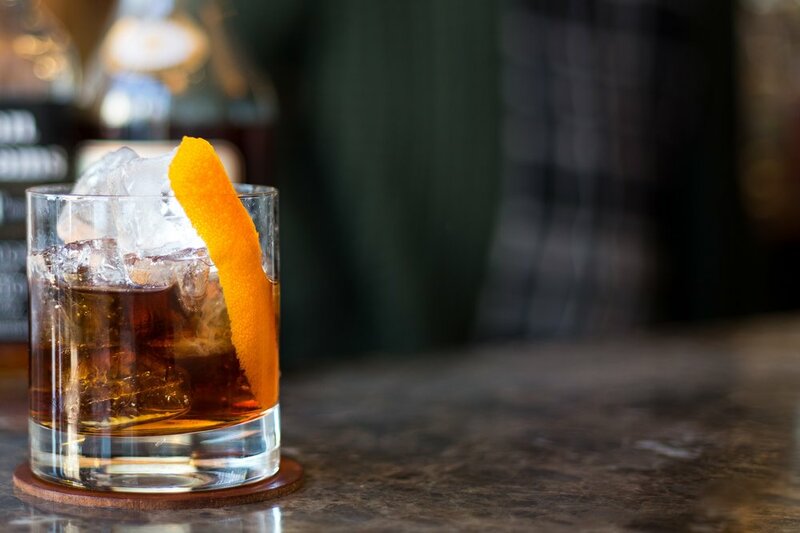 Charlotte's Bistro has partnered with Sipsmith to celebrate Negroni week from the 4th - 10th June 2018.